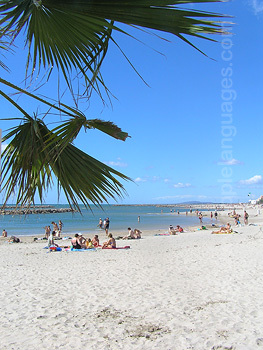 Learn French in Montpellier, a wonderful city located in the Languedoc-Roussillon region of southern France and experience the laid back Mediterranean way of life! With its eclectic mix of contemporary design and old town charm, it’s easy to understand why this beautiful city is one of the fastest growing in France! 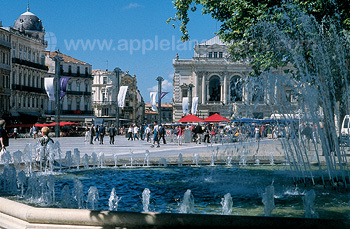 Our Club 50 course is held at our Montpellier Premium school which has a great location in the historic city centre, just 5 minutes walking distance away from the Place de la Comedie, Montpellier’s main square. The school building occupies an 18th century mansion which maintains traditional architectural features, while still providing modern facilities for students learning French. 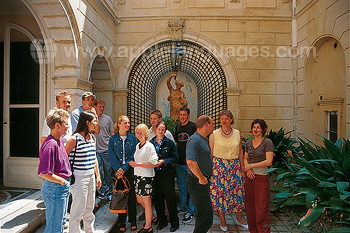 Our Club 50 course in Montpellier is ideal for students ages 50 years + who want to study with others of a similar age. 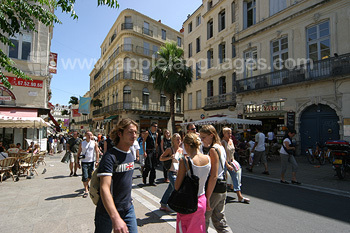 The 2-week course includes 20 French lessons each week, which are scheduled Monday to Friday. Lessons are usually scheduled in the mornings, followed by afternoon activities. Lessons are geared towards improving your French communication skills, taking a practical approach which gives you lots of opportunity to practice the French language in real life situations. 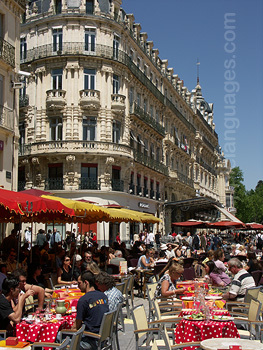 The school in Montpellier recommends host family accommodation as the best way to experience daily French life and culture. Our carefully selected host families offer a range of board options and you can choose between bed and breakfast or half board (2 meals each day). Special dietary requirements can be catered for and the school do their best to accommodate any special requests you have. Student residence accommodation can also be arranged in residences located close to the school. Each room has a private bathroom and kitchen access is available. 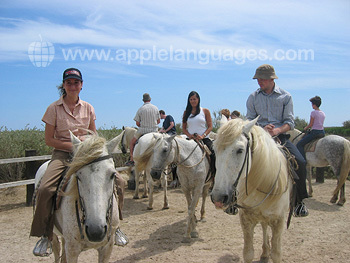 In addition to French language lessons, you will receive a full programme of activities which are arranged in the afternoons. These are a great way to get to know the other students in your class and experience some of the best that Montpellier has to offer. Each 2 week programme includes 2 guided tours of Montpellier, 2 food and wine tasting sessions and a restaurant evening, where you will be able to sample local gastronomic delights. 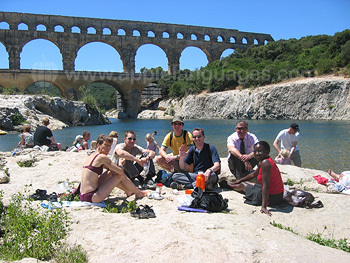 Two half day and a full day excursion are also included giving you the opportunity to visit places such as Nimes, Avignon, the Pont du Gard and Sète. This program is a great option for mature students wanting to learn French with other like minded students of a similar age and enjoy guided visits around Montpellier and beautiful Languedoc region. We recommend that students have an elementary level (minimum) of French to participate in this programme. Fly directly to Montpellier Airport. 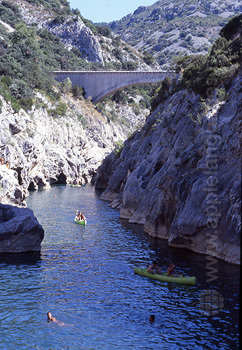 Alternatively, you can fly to Carcassonne and take a train to Montpellier which takes just over an hour. For students staying with French host families, 2-way transfers are included in the price from Montpellier Airport or train station.